You guys are going to love these if you LOVE chocolate, but also want to stay on track. These have saved me from eating bad at night! Give them a try. It is the perfect snack to “indulge” in. 2. Once mixed, take a spoon to grab a little mixture at a time, and roll in a ball with both hands. Each ball should be about 1/2 inch. This makes 11, but it depends on how big you want yours. Once done, set aside. 3. Take all 15 chocolate wafers and melt in a bowl in the microwave for about 1-1/2 minutes. 4. Once melted side aside. 5. (optional) Grab another bowl and pour about 1-1/2 tbsp coconut shreds for the topping. 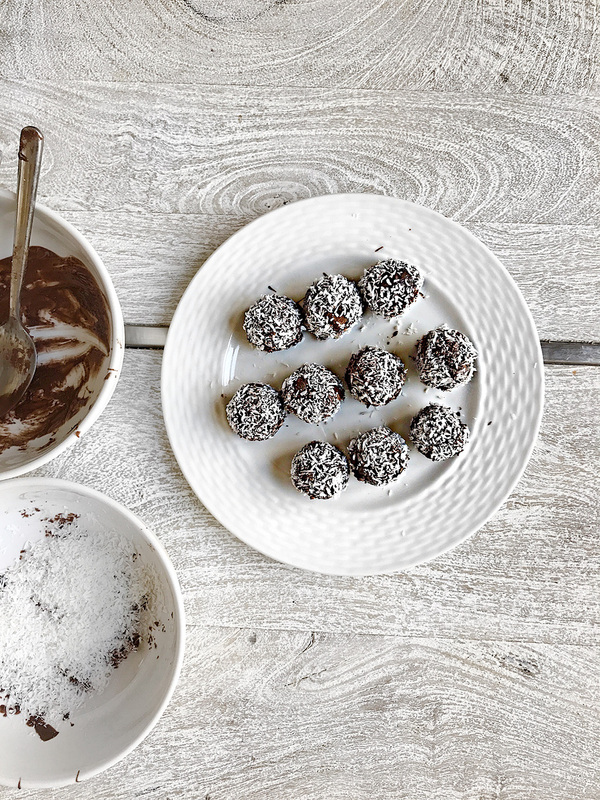 6. take each ball and roll in the chocolate, then to the coconut shreds. 7. 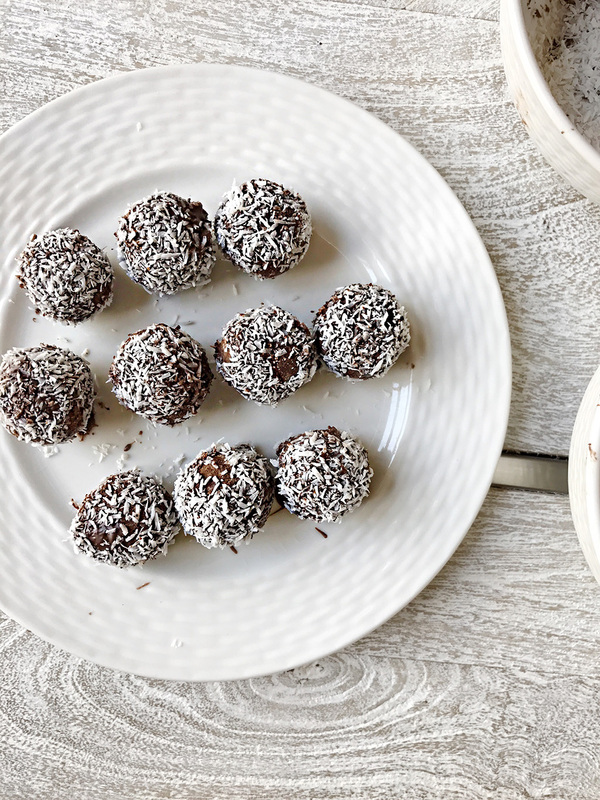 Once done, put all protein truffles in the fridge and let cool for about 5 minutes before enjoying! I like to make double the batch as a meal prep and just have them on hand! It really is so nice to have and you get your protein in for the day! So excited to try these out! They look amazing!! I’d need to check with you here. That is not something I ordinarily do! I appreciate reading a post which will make persons think. Also, thanks for permitting me to comment! Very great post. I just stumbled upon your weblog and wished to mention that I have really loved browsing your weblog posts. In any case I’ll be subscribing to your rss feed and I’m hoping you write once more very soon!